The objective of this study is to find out the potential influence of miR-301a in an experimental cerebral ischemia-reperfusion (I/R) rat model through targeting NDRG2. Rats with cerebral I/R injury were constructed and classified into model, miR-301a inhibitor, miR-301a mimic, NC (negative control), siNDRG2, NDRG2, and miR-301a inhibitor + si-NDRG2 groups, as well as another sham group. Cerebral infarct volume and cell apoptosis were observed by TTC staining and TUNEL staining. The targeting relationship between miR-301a and NDRG2 was verified by luciferase assay. ELISA, qRT-PCR, and Western blot were used to detect the expressions of related molecules. Compared with sham group, rats in the model group had elevated neurological function score and infarct volume; meanwhile, the cell apoptosis rate and inflammatory response were also increased with enhanced expression of miR-301a and NDRG2 (all P < 0.05). These changes were worsened in the miR-301a mimic and si-NDRG2 groups. Conversely, those rats in the miR-301a inhibitor and NDRG2 groups presented increased NDRG2, and at the same time, other above concerning factors also exhibited opposite tendencies (all P < 0.05). 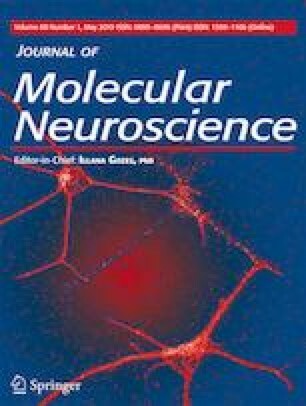 Dual-luciferase reporter gene assay confirmed that NDRG2 was a target gene of miR-301a, and si-NDRG2 could reverse the neuroprotective effect of miR-301a inhibitor in rats with cerebral I/R injury. Inhibiting miR-301a has a neuroprotective effect on rats with cerebral I/R injury to ameliorate cell apoptosis and inflammatory response through possibly targeting NDRG2. Tao Feng and Xiao-Lei Zhu have contributed equally to this work. We appreciate all the reviewers for their suggestions and comments.